"Romanov" redirects here. For other uses, see Romanov (disambiguation). The House of Romanov (Russian: Рома́нов, IPA: [rɐˈmanəf]) was the second dynasty, after the House of Rurik, to rule over Russia, and reigned from 1613 until the abdication of Tsar Nicholas II on March 15, 1917, as a result of the February Revolution. The direct male line of the Romanovs came to an end when Elizabeth of Russia died in 1762. After an era of dynastic crisis, the House of Holstein-Gottorp, a cadet branch of the House of Oldenburg which reigned in Denmark, ascended the throne in 1762 with Peter III, a grandson of Peter I. All rulers from the middle of the 18th century to the revolution of 1917 were descended from that branch. Though officially known as the House of Romanov, these descendants of the Romanov and Oldenburg dynasties are sometimes referred to as Holstein-Gottorp-Romanov. In early 1917 the Romanov dynasty had 65 members, 18 of whom were killed by the Bolsheviks. The remaining 47 members went into exile abroad." In 1924, Grand Duke Kirill Vladimirovich, the senior, surviving male-line descendant of Alexander II of Russia by primogeniture, claimed the headship of the defunct Imperial House of Russia. Since 1991, the succession to the former Russian throne has been in dispute, largely due to disagreements over the validity of dynasts' marriages. Grand Duchess Maria Vladimirovna of Russia claims to hold the title of empress in pretense with her only child, George Mikhailovich, as heir apparent. Others have argued in support of the rights of the late Prince Nicholas Romanovich Romanov, whose brother Prince Dimitri Romanov is the next heir male of his branch. There is also a rival non-Romanov claim put forth by Prince Karl Emich of the House of Leiningen supported by the Monarchist Party. Legally, it is not clear if a ukase was issued that abolished the surname of Michael Romanov upon his accession to the Russian throne or of his subsequent male-line descendants, although by tradition members of reigning dynasties seldom use surnames, being known, rather, by dynastic titles ("Tsarevich Ivan Alexeevich", "Grand Duke Nikolai Nikolaevich", etc.) In addition, since 1761 Russian rulers descend from the son of Grand Duchess Anna Petrovna of Russia and Charles Frederick, Duke of Holstein-Gottorp, and thus they were no longer Romanovs by patrilineage, but belonged to the Holstein-Gottorp cadet branch of the German House of Oldenburg which reigned in Denmark. According to the Almanach de Gotha, the name of Russia's ruling dynasty from the time of Peter III was "Holstein-Gottorp-Romanov". However, the name "Romanov" and "House of Romanov" were often used in official references to the Russian imperial family. The coat of arms of the Romanov boyars was included in legislation on the imperial dynasty, and in a 1913 jubilee, Russia officially celebrated the "300th Anniversary of the Romanovs' rule". A 16th-century residence of the Yuryev-Zakharyin boyars in Zaryadye, near the Kremlin. The Romanovs share their origin with two dozen other Russian noble families. Their earliest common ancestor is one Andrei Kobyla, attested around 1347 as a boyar in the service of Semyon I of Moscow. 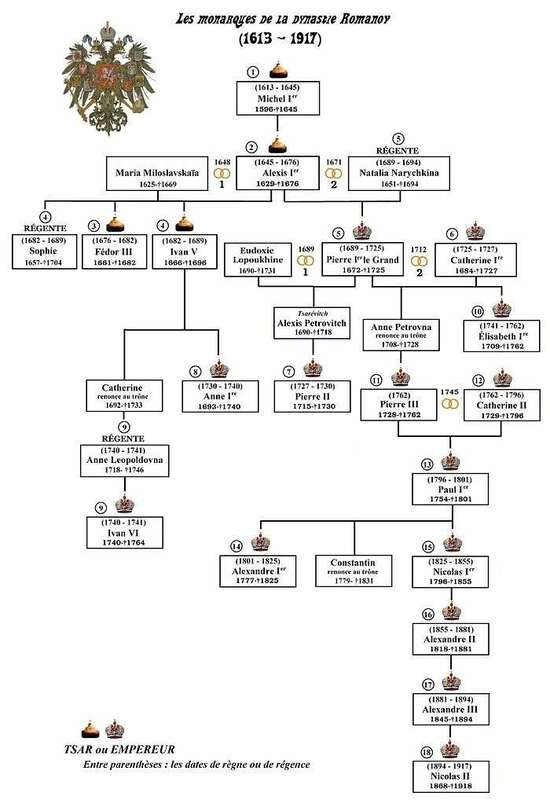 Later generations assigned to Kobyla an illustrious pedigree. An 18th-century genealogy claimed that he was the son of the Prussian prince Glanda Kambila, who came to Russia in the second half of the 13th century, fleeing the invading Germans. Indeed, one of the leaders of the Old Prussian rebellion of 1260–1274 against the Teutonic order was named Glande. His actual origin may have been less spectacular. Not only is Kobyla Russian for "mare", some of his relatives also had as nicknames the terms for horses and other domestic animals, thus suggesting descent from one of the royal equerries. One of Kobyla's sons, Feodor, a member of the boyar Duma of Dmitri Donskoi, was nicknamed Koshka ("cat"). His descendants took the surname Koshkin, then changed it to Zakharin, which family later split into two branches: Zakharin-Yakovlev and Zakharin-Yuriev. During the reign of Ivan the Terrible, the former family became known as Yakovlev (Alexander Herzen among them), whereas grandchildren of Roman Yurievich Zakharyin-Yuriev changed their name to "Romanov". 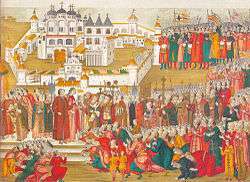 A crowd at the Ipatiev Monastery imploring Mikhail Romanov's mother to let him go to Moscow and become their tsar (Illumination from a book dated 1673). The family fortunes soared when Roman's daughter, Anastasia Zakharyina, married Ivan IV, the Rurikid Grand Prince of Moscow, on 3 (13) February 1547. Since her husband had assumed the title of tsar, which literally means "Caesar", on 16 January 1547, she was crowned the very first tsaritsa of Russia. Her mysterious death in 1560 changed Ivan's character for the worse. Suspecting the boyars of having poisoned his beloved, Tsar Ivan started a reign of terror against them. Among his children by Anastasia, the elder (Ivan) was murdered by the tsar in a quarrel; the younger Feodor, a pious but lethargic prince, inherited the throne upon his father's death in 1584. Throughout Feodor's reign (1584–1598), the Tsar's brother-in-law, Boris Godunov, and his Romanov cousins contested the de facto rule of Russia. Upon the death of childless Feodor, the 700-year-old line of Moscow Rurikids came to an end. After a long struggle, the party of Boris Godunov prevailed over the Romanovs, and the Zemsky sobor elected Godunov as tsar in 1599. Godunov's revenge on the Romanovs was terrible: all the family and its relations were deported to remote corners of the Russian North and Urals, where most of them died of hunger or in chains. The family's leader, Feodor Nikitich Romanov, was exiled to the Antoniev Siysky Monastery and forced to take monastic vows with the name Filaret. The Romanovs' fortunes again changed dramatically with the fall of the Godunov dynasty in June 1605. As a former leader of the anti-Godunov party and cousin of the last legitimate tsar, Filaret Romanov's recognition was sought by several impostors who attempted to claim the Rurikid legacy and throne during the Time of Troubles. False Dmitriy I made him a metropolitan, and False Dmitriy II raised him to the dignity of patriarch. Upon the expulsion of the Poles from Moscow in 1612, the Zemsky Sobor offered the Russian crown to several Rurikid and Gediminian princes, but all declined the honour. On being offered the Russian crown, Filaret's 16-year-old son Mikhail Romanov, then living at the Ipatiev Monastery of Kostroma, burst into tears of fear and despair. He was finally persuaded to accept the throne by his mother Kseniya Ivanovna Shestova, who blessed him with the holy image of Our Lady of St. Theodore. Feeling how insecure his throne was, Mikhail attempted to emphasize his ties with the last Rurikid tsars and sought advice from the Zemsky Sobor on every important issue. This strategy proved successful. The early Romanovs were generally accepted by the population as in-laws of Ivan the Terrible and viewed as innocent martyrs of Godunov's wrath. Mikhail was succeeded by his only son Alexei, who steered the country quietly through numerous troubles. Upon his death, there was a period of dynastic struggle between his children by his first wife Maria Ilyinichna Miloslavskaya (Fyodor III, Sofia Alexeyevna, Ivan V) and his son by his second wife Nataliya Kyrillovna Naryshkina, the future Peter the Great. Peter ruled from 1682 until his death in 1725. In numerous successful wars he expanded the Tsardom into a huge empire that became a major European power. He led a cultural revolution that replaced some of the traditionalist and medieval social and political system with a modern, scientific, Europe-oriented, and rationalist system. New dynastic struggles followed the death of Peter. His only son to survive into adulthood, Tsarevich Alexei, did not support Peter's modernization of Russia. He had previously been arrested and died in prison shortly thereafter. Near the end of his life, Peter managed to alter the succession tradition of male heirs, allowing him to choose his heir. Power then passed into the hands of his second wife, Empress Catherine. 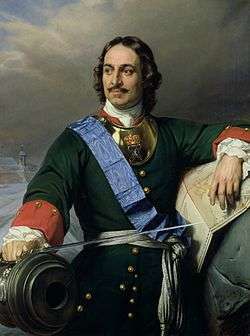 Within five years, the Romanov male line ended with the death of Peter II in 1730. He was succeeded by Anna I, daughter of Peter the Great's half-brother and co-ruler, Ivan V. Before she died in 1740 the empress declared her grandnephew, Ivan VI, should succeed her. This was an attempt to secure the line of her father, while excluding descendants of Peter the Great from inheriting the throne. Ivan VI was only a one-year-old infant at the time of his succession to the throne and his parents, Grand Duchess Anna Leopoldovna and Duke Anthony Ulrich of Brunswick, the ruling regent, were detested for their German counselors and relations. As a consequence, shortly after Empress Anna Ivanovna's death, Elizabeth Petrovna, a legitimized daughter of Peter I, managed to gain the favor of the populace and dethroned Ivan VI in a coup d'état, supported by the Preobrazhensky Regiment and the ambassadors of France and Sweden. Ivan VI and his parents died in prison many years later. The Holstein-Gottorps of Russia retained the Romanov surname, emphasizing their matrilineal descent from Peter the Great, through Anna Petrovna (Peter I's elder daughter by his second wife). In 1742, Empress Elizabeth of Russia brought Anna's son, her nephew Peter of Holstein-Gottorp, to St. Petersburg and proclaimed him her heir. In time, she married him off to the German princess , Sophia of Anhalt-Zerbst. In 1762, shortly after the death of Empress Elizabeth, Sophia, who had taken the Russian name Catherine upon her marriage, overthrew her unpopular husband, with the aid of her lover, Grigory Orlov. She reigned as Catherine the Great. Catherine's son, Paul I, who succeeded his mother in 1796, was particularly proud to be a great-grandson of Peter the Great, although his mother's memoirs arguably insinuate that Paul's natural father was, in fact, her lover Serge Saltykov, rather than her husband, Peter. Painfully aware of the hazards resulting from battles of succession, Paul decreed house laws for the Romanovs -— the so-called Pauline laws, among the strictest in Europe -— which established semi-Salic primogeniture as the rule of succession to the throne, requiring Orthodox faith for the monarch and dynasts, and for the consorts of the monarchs and their near heirs. Later, Alexander I, responding to the 1820 morganatic marriage of his brother and heir, added the requirement that consorts of all Russian dynasts in the male line had to be of equal birth (i.e., born to a royal or sovereign dynasty). Paul I was murdered in his palace in Saint Petersburg in 1801. Alexander I succeeded him on the throne and later died without leaving a son. His brother, crowned Nicholas I, succeeded him on the throne. The succession was far from smooth, however, as hundreds of troops took the oath of allegiance to Nicholas's elder brother, Constantine Pavlovich who, unbeknownst to them, had renounced his claim to the throne in 1822, following his marriage. The confusion, combined with opposition to Nicholas' accession, led to the Decembrist revolt. Nicholas I fathered four sons, educating them for the prospect of ruling Russia and for military careers, from whom the last branches of the dynasty descended. Alexander II, son of Nicholas I, became the next Russian emperor in 1855, in the midst of the Crimean War. While Alexander considered it his charge to maintain peace in Europe and Russia, he believed only a strong Russian military could keep the peace. By developing the army, giving some freedom to Finland, and freeing the serfs in 1861 he gained much popular support. Despite his popularity, however, his family life began to unravel by the mid 1860s. In 1864, his eldest son, and heir, Tsarevich Nicholas, died suddenly. His wife, Empress Maria Alexandrovna, who suffered from tuberculosis, spent much of her time abroad. Alexander eventually turned to a mistress, Princess Catherine Dolgoruki. Immediately following the death of his wife in 1880 he contracted a morganatic marriage with Dolgoruki. His legitimization of their children, and rumors that he was contemplating crowning his new wife as empress, caused tension within the dynasty. In particular, the grand duchesses were scandalized at the prospect of deferring to a woman who had borne Alexander several children during his wife's lifetime. Before Princess Catherine could be elevated in rank, however, on 13 March 1881 Alexander was assassinated by a hand-made bomb hurled by Ignacy Hryniewiecki. Slavic patriotism, cultural revival, and Panslavist ideas grew in importance in the latter half of this century, evoking expectations of a more Russian than cosmopolitan dynasty. Several marriages were contracted with members of other reigning Slavic or Orthodox dynasties (Greece, Montenegro, Serbia). In the early 20th century two Romanov princesses were allowed to marry Russian high noblemen – whereas until the 1850s, practically all marriages had been with German princelings. A gathering of members of the Romanov family in 1892, at the summer military manoeuvres in Krasnoe Selo. (Front row, seated) Grand Duchess Xenia, Grand Duchess Maria Pavlovna the elder, Grand Duchess Elena Vladimirovna, Grand Duchess Alexandra Iosifovna, Empress Maria Feodorovna, Emperor Alexander III, Grand Duke Michael Nikolaevich and Grand Duke Paul Alexandrovich. (Immediately behind) Dukes Carl Michael and Georg of Mecklenburg Stretlitz ( great-grandsons of Emperor Paul I), Grand Duke Konstantin Konstantinovich, his sister Olga, Queen of the Hellenes, Tsarevcih Nicholas (later Emperor Nicholas II), Grand Duke Vladimir Alexandrovich, Grand Duke Dimitri Constantinovich (in the white hat), Duke Peter of Oldenburg (a great-great grandson of Emperor Paul I), and Duke George of Leuchtenberg (a great grandson of Emperor Nicholas I). (Back row) Grand Duke Sergei Mikhailovich, Grand Duke Nicholas Nicholaievich the younger, Duke Alexander of Oldenburg (Duke Peter’s father, a great grand son of Emperor Paul I, peering over the shoulder of Grand Duke Dimitri). The boys in the front are Grand Duke Alexei Mikhailovich (with the dark sailor uniform), Grand Duke Michael Alexandrovich and brothers Grand Dukes Andrei and Boris Vladimirovich. Alexander II was succeeded by his son Alexander III. This tsar, the second-to-last Romanov emperor, was responsible for conservative reforms in Russia. Not expected to inherit the throne, he was educated in matters of state only after the death of his older brother, Nicholas. Lack of diplomatic training may have influenced his politics as well as those of his son, Nicholas II. Alexander III was physically impressive, being not only tall (1.93 m or 6'4", according to some sources), but of large physique and considerable strength. His beard hearkened back to the likeness of tsars of old, contributing to an aura of brusque authority, awe-inspiring to some, alienating to others. Alexander, fearful of the fate which had befallen his father, strengthened autocratic rule in Russia. Some of the reforms the more liberal Alexander II had pushed through were reversed. Alexander had not only inherited his dead brother's position as Tsesarevich, but also his brother's Danish fiancée, Princess Dagmar. Taking the name Maria Fyodorovna upon her conversion to Orthodoxy, she was the daughter of King Christian IX and the sister of the future kings Frederik VIII of Denmark and George I of Greece, as well as of Britain's Queen Alexandra, consort of Edward VII. Despite contrasting natures and backgrounds the marriage was considered harmonious, producing six children and acquiring for Alexander the reputation of being the first tsar not known to take mistresses. His eldest son, Nicholas, became emperor upon Alexander III's death due to kidney disease at age 49 in November 1894. Nicholas reputedly said, "I am not ready to be tsar...." Just a week after the funeral, Nicholas married his fiancée, Alix of Hesse-Darmstadt, a favorite grandchild of Queen Victoria of the United Kingdom. Though a kind-hearted man, he tended to leave intact his father's harsh policies. For her part the shy Alix, who took the name Alexandra Fyodorovna, became a devout convert to Orthodoxy as well as a devoted wife to Nicholas and mother to their five children, yet avoided many of the social duties traditional for Russia's tsarinas. Seen as distant and severe, unfavorable comparisons were drawn between her and her popular mother-in-law, Maria Fyodorovna. When, in 1916, Nicholas took command of the army at the front lines during World War I, Alexandra sought to influence him toward an authoritarian approach in government affairs even more than she had done during peace time. 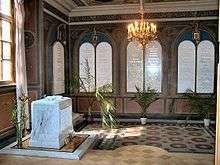 His well-known devotion to her injured both his and the dynasty's reputation during World War I, due both to her German origin and her unique relationship with Rasputin, whose role in the life of her only son was not widely known. Alexandra was a carrier of the gene for haemophilia, inherited from her maternal grandmother, Queen Victoria. Her son, Alexei, the long-awaited heir to the throne, inherited the disease and suffered agonizing bouts of protracted bleeding, the pain of which was sometimes partially alleviated by Rasputin's ministrations. Nicholas and Alexandra also had four daughters, the Grand Duchesses Olga, Tatiana, Maria and Anastasia). The six crowned representatives of the Holstein-Gottorp-Romanov line were: Paul (1796–1801), Alexander I (1801–1825), Nicholas I (1825–55), Alexander II (1855–81), Alexander III (1881–94), and Nicholas II (1894–1917). Constantine Pavlovich and Michael Alexandrovich, both morganatically married, are occasionally counted among Russia's emperors by historians who observe that the Russian monarchy did not legally permit interregnums. But neither was crowned and both declined the throne. The February Revolution of 1917 resulted in the abdication of Nicholas II in favor of his brother Grand Duke Michael Alexandrovich. The latter declined to accept imperial authority save to delegate it to the Provisional Government pending a future democratic referendum. But that action effectively terminated the Romanov dynasty's rule over Russia. Some historians contend that the crown did not lawfully pass to Michael, as Tsesarevich Alexei would have automatically succeeded his father, Nicholas II, if the latter had not illegally altered his act of abdication to include his son—in fear that the afflicted boy would be forcibly separated from his parents. By this theory, Alexei followed Nicholas II as Russia's rightful emperor, although he remained a prisoner of the Bolsheviks for the rest of his short life. His uncle Michael would then only have become emperor after Alexei's death, along with his parents and sisters, in June 1918. But by then Michael Aleksandrovich was also in captivity and would himself be executed by the Bolsheviks the following month. After the February Revolution, Nicholas II and his family were placed under house arrest in the Alexander Palace. While several members of the imperial family managed to stay on good terms with the Provisional Government, and were eventually able to leave Russia, Nicholas II and his family, were sent into exile in the Siberian town of Tobolsk by Alexander Kerensky in August 1917. The October Revolution of 1917, saw the ousting of the Provisional government by the Bolsheviks, and in April 1918, the Romanovs were moved to the Russian town of Yekaterinburg, in the Urals, where they were placed in the Ipatiev House. Grand Duke Cyril (Kirill) with his wife Grand Duchess Victoria and children Kira and Vladimir Kirillovich. There have been numerous post-Revolution reports of Romanov survivors and unsubstantiated claims by individuals to be members of the deposed Tsar Nicholas II's family, the best known of whom was Anna Anderson. Proven research has, however, confirmed that all of the Romanovs held prisoners inside the Ipatiev House in Ekaterinburg were killed. Descendants of Xenia and Olga, Nicholas II's two sisters, do survive, as do descendants of previous tsars. Grand Duke Kirill Vladimirovich, a male-line grandson of Tsar Alexander II, claimed the headship of the deposed Imperial House of Russia, and assumed, as pretender, the title "Emperor and Autocrat of all the Russians" in 1924 when the evidence appeared conclusive that all Romanovs higher in the line of succession had been killed. Kirill was followed by his only son Vladimir Kirillovich. Vladimir's only child, Maria Vladimirovna (born 1953), claims to have succeeded her father. The only son of her marriage with Prince Franz Wilhelm of Prussia, George Mikhailovich, is her heir apparent. 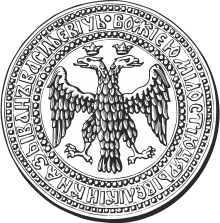 The Romanov Family Association (RFA) formed in 1979, a private organization of most of the male-line descendants of Emperor Paul I of Russia (other than Vladimir Kirillovich, Maria Vladimirovna and her son) acknowledges the dynastic claims to the throne of no pretender, and is officially committed to support only that form of government chosen by the Russian nation. however the RFA's former president, Nicholas Romanovich, along with his brother Dimitri and some other family members, have repudiated the transfer of the dynasty's legacy to the female-line, contending that his claim is as valid as that of Maria Vladimirovna or her son. A grandson of Kirill's who is not a male-line Romanov, Prince Karl Emich of Leiningen, also claims to be the rightful representative of the Romanov Imperial heritage. Yekaterinburg's "Church on the Blood", built on the spot where the last Tsar and his family were killed. On the night of July 17, 1918, Bolshevik authorities acting on Yakov Sverdlov's orders in Moscow and led locally by Filip Goloschekin and Yakov Yurovsky, shot Nicholas II, his immediate family, and four servants in the Ipatiev House's cellar. The family was told that they were to be photographed to prove to the people that they were still alive. The family members were arranged appropriately and left alone for several minutes, the gunmen then walked in and started shooting. The girls did not die from the first shots, because bullets rebounded off diamonds that were sewn into their corsets. The gunmen tried to stab them with bayonets, which also failed because of the stones. The gunmen then allegedly shot each in the head at close range. The bodies of the Romanovs were then hidden and moved several times before being interred in an unmarked pit where they remained until the summer of 1979 when amateur enthusiasts disinterred and re-buried some of them, and then decided to conceal the find until the fall of communism. In 1991 the grave site was excavated and the bodies were given a state funeral under the nascent democracy of post-Soviet Russia, and several years later DNA and other forensic evidence was used by Russian and international scientists to make genuine identifications. The Ipatiev House has the same name as the Ipatiev Monastery in Kostroma, where Mikhail Romanov had been offered the Russian Crown in 1613. The large memorial church "on the blood" has been built on the spot where the Ipatiev House once stood. Nicholas II and his family were proclaimed passion-bearers by the Russian Orthodox Church in 2000. In orthodoxy, a passion-bearer is a saint who was not killed because of his faith, like a martyr; but who died in faith at the hand of murderers. In July 1991, the crushed bodies of Nicholas II and his wife, along with three of their five children and four of their servants, were exhumed (although some questioned the authenticity of these bones despite DNA testing). Because two bodies were not present, many people believed that two Romanov children escaped the killings. There was much debate as to which two children's bodies were missing. A Russian scientist made photographic superimpositions and determined that Maria and Alexei were not accounted for. Later, an American scientist concluded from dental, vertebral, and other remnants that it was Anastasia and Alexei who were missing. Much mystery has always surrounded Anastasia's fate. Several films have been produced suggesting that she lived on. This has since been disproved with the discovery of the final Romanov children's remains and extensive DNA testing, which connected those remains to the DNA of Nicholas II, his wife, and the other three children. After the bodies were exhumed in June 1991, they sat in laboratories until 1998, while there was a debate as to whether they should be reburied in Yekaterinburg or St. Petersburg. A commission eventually chose St. Petersburg. The remains were transferred with full military honor guard and accompanied by members of the Romanov family from Yekaterinburg to St. Petersburg. In St. Petersburg the remains of the imperial family were moved by a formal military honor guard cortege from the airport to the Sts. Peter and Paul Fortress where they (along with several loyal servants who were killed with them) were interred in a special chapel in the Peter and Paul Cathedral near the tombs of their ancestors. President Boris Yeltsin attended the interment service on behalf of the Russian people. fragment of fabric of a garment. The area where the remains were found was near the old Koptyaki Road, under what appeared to be double bonfire sites about 70 m from the mass grave in Pigs Meadow near Yekaterinburg. The general directions were described in Yurovsky's memoirs, owned by his son, although no one is sure who wrote the notes on the page. The archaeologists said the bones are from a boy who was roughly between the ages of ten and thirteen years at the time of his death and of a young woman who was roughly between the ages of eighteen and twenty-three years old. Anastasia was seventeen years and one month old at the time of the murder, while Maria was nineteen years and one month old. Alexei would have been fourteen in two weeks' time. Alexei's elder sisters Olga and Tatiana were twenty-two and twenty-one years old at the time of the murder respectively. The bones were found using metal detectors and metal rods as probes. Also, striped material was found that appeared to have been from a blue-and-white striped cloth; Alexei commonly wore a blue-and-white striped undershirt. On April 30, 2008, Russian forensic scientists announced that DNA testing proves that the remains belong to the Tsarevich Alexei and his sister Anastasia. DNA information, made public in July 2008, that has been obtained from Yekaterinburg and repeatedly subject to independent testing by laboratories such as the University of Massachusetts Medical School, USA, and reveals that the final two missing Romanov remains are indeed authentic and that the entire Romanov family housed in the Ipatiev House, Yekaterinburg were executed in the early hours of 17 July 1918. In March 2009, results of the DNA testing were published, confirming that the two bodies discovered in 2007 were those of Tsarevich Alexei and Anastasia. Research on mitochondrial DNA (mtDNA) was conducted in the American AFDIL and in European GMI laboratories. In comparison with the previous analyses mtDNA in the area of Aleksandra Fyodorovna, positions 16519C, 524.1A and 524.2C were added. The mtDNA of Prince Philip, Duke of Edinburgh, a great-nephew of the last Tsarina, was used by forensic scientists to identify her body and those of her children. Some experts suggest analysis of other relatives in the female line, in particular of the Spanish Queen Sofia or her brother, the deposed King Constantine II of Greece. On July 18, 1918, the day after the killing at Yekaterinburg of the tsar and his family, members of the extended Russian imperial family met a brutal death by being killed near Alapayevsk by Bolsheviks. They included: Grand Duke Sergei Mikhailovich of Russia, Prince Ioann Konstantinovich of Russia, Prince Konstantin Konstantinovich of Russia, Prince Igor Konstantinovich of Russia and Prince Vladimir Pavlovich Paley, Grand Duke Sergei's secretary Varvara Yakovleva, and Grand Duchess Elisabeth Fyodorovna, a granddaughter of Queen Victoria and elder sister of Tsarina Alexandra. Following the 1905 assassination of her husband, Grand Duke Sergei Alexandrovich, Elisabeth Fyodorovna had ceased living as a member of the Imperial family and took up life as a serving nun, but would nonetheless be arrested and slated for death with other Romanovs. They were thrown down a mine shaft into which explosives were then dropped, all being left to die there slowly. The bodies were recovered from the mine by the White Army in 1918, who arrived too late to rescue them. Their remains were placed in coffins and moved around Russia during struggles between the White and the opposing Red Army. By 1920 the coffins were interred in a former Russian mission in Beijing, now beneath a parking area. In 1981 Grand Duchess Elisabeth was canonized by the Russian Orthodox Church Outside of Russia, and in 1992 by the Moscow Patriarchate. In 2006 representatives of the Romanov family were making plans to re-inter the remains elsewhere. The town became a place of pilgrimage to the memory of Elisabeth Fyodorovna, whose remains were eventually re-interred in Jerusalem. In January 1919 revolutionary authorities killed Grand Dukes Dmitry Konstantinovich, Nikolai Mikhailovich, Paul Alexandrovich and George Mikhailovich, who had been held in the prison of the Saint Peter and Paul Fortress in Petrograd. In 1919, Maria Fyodorovna, widow of Alexander III, and mother of Nicholas II, managed to escape Russia aboard HMS Marlborough, which her nephew, King George V of the United Kingdom, had sent, at the urging of his own mother, Queen Alexandra, Maria's elder sister, to rescue her. After a stay in England with Queen Alexandra, she returned to her native Denmark, first living at Amalienborg Palace, with her nephew, King Christian X, and later, at Villa Hvidøre. Upon her death in 1928 her coffin was placed in the crypt of Roskilde Cathedral, the burial site of members of the Danish Royal Family. In 2006, the coffin with her remains was moved to the Sts. Peter and Paul Fortress, to be buried beside that of her husband. The transfer of her remains was accompanied by an elaborate ceremony at Saint Isaac's Cathedral officiated by the Patriarch Alexis II. Descendants and relatives of the Dowager Empress attended, including her great-grandson Prince Michael Andreevich, Princess Catherine Ioannovna of Russia, the last living member of the Imperial Family born before the fall of the dynasty, and Princes Dmitri and Prince Nicholas Romanov. Among the other exiles who managed to leave Russia, were Maria Fyodorovna's two daughters, the Grand Duchesses Xenia Alexandrovna and Olga Alexandrovna, with their husbands, Grand Duke Alexander Mikhailovich and Nikolai Kulikovsky, respectively, and their children. Xenia remained in England, following her mother's return to Denmark, although after their mother's death Olga moved to Canada with her husband, both sisters dying in 1960. Grand Duchess Maria Pavlovna, widow of Nicholas II's uncle, Grand Duke Vladimir, and her children the Grand Dukes Kiril, Boris and Andrei, and their sister Elena, also managed to flee Russia. Grand Duke Dmitri Pavlovich, a cousin of Nicholas II, had been exiled to the Caucasus in 1916 for his part in the murder of Grigori Rasputin, and managed to escape Russia. Grand Duke Nicholas Nikolaievich, who had commanded Russian troops during World War I prior to Nicholas II taking command, along with his brother, Grand Duke Peter, and their wives, Grand Duchesses Anastasia and Militza, who were sisters, also fled the country. The collection of jewels and jewellery collected by the Romanov family during their reign are commonly referred to as the "Russian Crown Jewels" and they include official state regalia as well as personal pieces of jewellery worn by Romanov rulers and their family. After the Tsar was deposed and his family murdered, their jewels and jewellery became the property of the new Soviet government. A select number of pieces from the collection were sold at auction by Christie's in London in March 1927. The remaining collection is on view today in the Kremlin Armoury in Moscow. On August 28, 2009, a Swedish public news outlet reported that a collection of over 60 jewel-covered cigarette cases and cufflinks owned by the Romanov family, had been found in the archives of the Swedish Ministry for Foreign Affairs, and was returned. The jewellery was allegedly turned over to the Swedish embassy in St. Petersburg in November 1918 by Duchess Marie of Mecklenburg-Schwerin to keep it safe. The jewellery's worth was estimated to 20 million Swedish krona (about 2.6 million US dollars). For a detailed armorial, see here: Armorial of House of Schleswig-Holstein-Gottorp-Russie, surnamed Romanov. 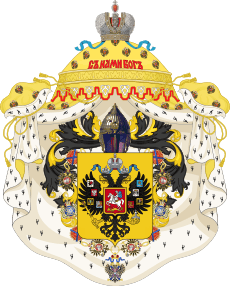 There is a detailed article here on the arms of the Russian Empire. ↑ "Просмотр документа – dlib.rsl.ru". rsl.ru. ↑ Isaeva, Ksenia (25 March 2015). "Dmitri Romanov: Immigration, friendship with Coco Chanel, the Olympics". Retrieved 30 November 2016. 1 2 3 4 5 6 7 8 9 10 11 12 13 Almanach de Gotha. Gotha, Germany: Justus Perthes. 1944. pp. 103–106. ↑ "Origins of Romanov surname. Russian royalists site". Retrieved 30 November 2016. ↑ Romanovs lectures. The history of the Russian state and the Romanov dynasty: current problems in the study. Kostroma. May 29–30, 2008. ↑ "DNA proves Bolsheviks killed all of Russian czar's children". CNN. March 11, 2009. ↑ "Mystery Solved: The Identification of the Two Missing Romanov Children Using DNA Analysis". March 11, 2009. ↑ Archived December 12, 2011, at the Wayback Machine. ↑ "Books: Death at Ekaterinburg – TIME". TIME magazine. 1935-04-22. Retrieved 2012-04-11. ↑ "The Representative of Romanov family in the Russian Federation does not exclude the possibility of transferring from China to Russia the remains of Alapayevsk martyrs.". Orthodox News China. 2005-06-23. Retrieved 2012-04-11. ↑ "La Embajada de la Federación de Rusia en la República Oriental del Uruguay". Retrieved 30 November 2016. ↑ Harris, Carolyn. "From St. Petersburg to Toronto: The Life of Grand Duchess Olga Alexandrovna (1882–1960)". Carolyn Harris – Historian and Author. Retrieved 25 November 2015. ↑ Kvasha, Semyon (1 May 2013). "Treasures of Imperial Russia on display in Moscow and St. Petersburg". Retrieved 19 September 2014. ↑ Sveriges Radio. "Russian Jewels Found at Foreign Ministry". sverigesradio.se. Wikimedia Commons has media related to House of Romanov.